Lot And A Half on quiet street. Fenced on two sides, gentle slope for easy building. Only a couple of minutes to Safeway and other amenities. Driving Directions: From Old Hwy 53 go east on Austin into Duncan Ave, left onto Johnson. 3695 Johnson Avenue, Clearlake, CA 95422 (MLS# 21823859) is a Lots/Land property with a lot size of 0.17 acres. 3695 Johnson Avenue is currently listed for $6,250 and was received on September 05, 2018. Want to learn more about 3695 Johnson Avenue? 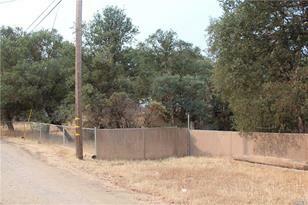 Do you have questions about finding other Lots/Land real estate for sale in Clearlake? You can browse all Clearlake real estate or contact a Coldwell Banker agent to request more information.